Your Mission, should you choose to accept it, is to embark on the most heart thumping, adrenalin filled Jet Fighter Introductory Mission available. Live your Top Gun dream for a day in an L39 Albatros Lead in Fighter Jet. Feel the G-force and speed as your pilot performs aerobatic manoeuvres across the sky. You will begin with a guided tour of the L-39 Jet followed with a full flight mission and safety briefing. Once you are suited up in a full flight suit and helmet you’ll climb aboard the fighter jet and be guided through the start procedures. Feel the power as the jet engine spools up, complete the check-list and prepare to taxi down the runway for take off. 4000 pounds of jet thrust will launch you into the atmosphere. The L39 is capable of speeds up to 910 km/h. 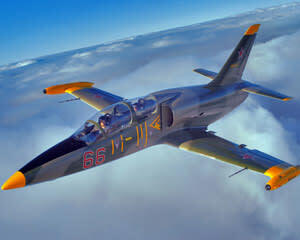 The L-39 is the sleekest and most modern jet fighter conducting adventure flights in Australia. 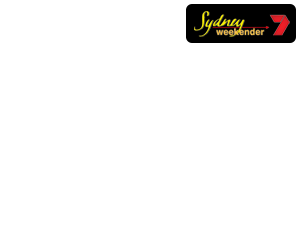 Your flight will take you 8000 ft over the beautiful Hunter Valley or nearby coastline. You are the co-pilot and you’ll have one to one interactive communication with your pilot throughout the mission. The flight commences with a steep turn to introduce you to the feeling of positive G then move on to smooth tactical aerobatics completing manoeuvres such as the Aileron Roll, Barrel Roll, Loop, Derry Turn, Immelman and the Split S. Feel the power, speed, manoeuvrability and G-force during this mesmerising slice of life as a Fighter Pilot. It was an absolutely brilliant experience. Mark and Donna were excellent - they made me feel really comfortable and ensured I enjoyed the experience. I would love to do it again...!!! The ride in the L39 was an absolutely awesome experience and an amazing adventure. Getting to fly such a powerful machine myself was a buzz, even though I knew Mark had control at any time. Highly competent and skilled team with a very well maintained and loved aircraft. Mark knows exactly what he is doing. Only confusion for me personally was finding the office/hangar, and some one with the same first name almost got my ride! (they had booked in a prop). All sorted however. The entire day and Everything went without a hitch, One off the bucket list.